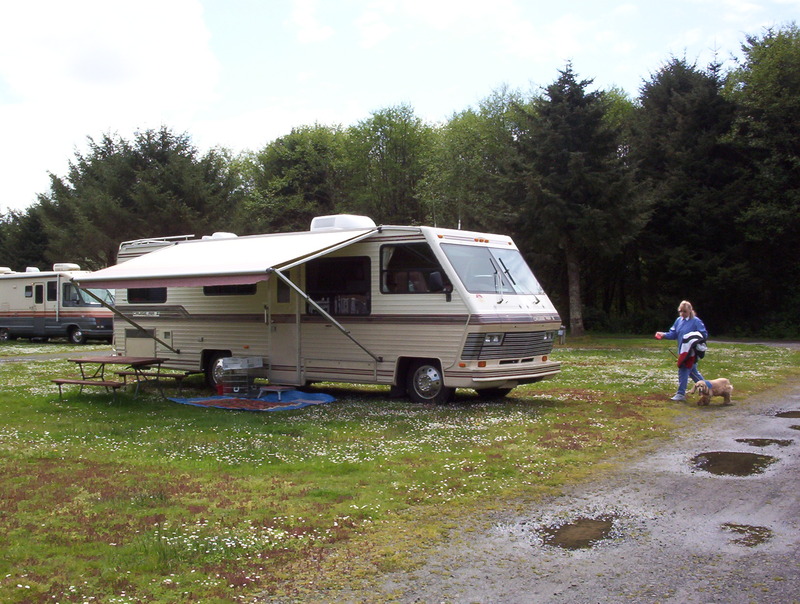 My wife Elaine and I have owned an RV since 2000. 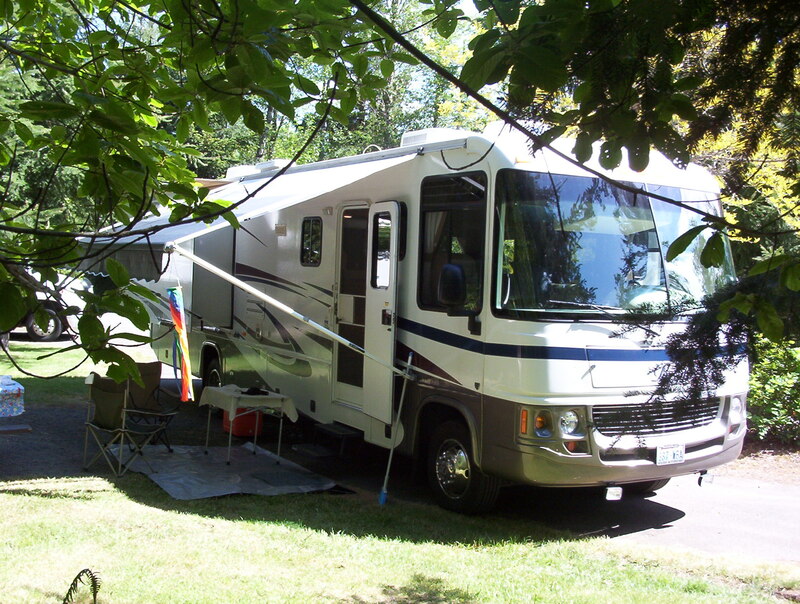 We started of experimenting by Purchasing a used Georgie Boy Cruise Air II it was a 1994 model and it was 30″ long and we really enjoyed exploring around the country we used to go our every week-end during the summer months in the pacific North West. This area is blessed with many excellent State run camp grounds and there are also many commercial camp grounds that were well received. But one had to do a lot research because the commercial grounds were not very private or comfortable. Our area of choice was the State run camp grounds and I can say in Washington State we only ran into maybe half a dozen below par camp grounds. We continued to use our first Motor Coach until 2007 when we decided that the configuration of the old Georgie Boy was not meant for folks getting older. So we started our search for our a new vehicle and ended up with an other Georgie Boy DS3500 this coach had everything 2 slides and all of the modern amenities that we never had in the old one. we continued our weekend trips until May 14th 2012 when Elaine was doing some gardening work in our yard and she accidentally slipped and fell over a 8′ high garden wall. No bones broken but a lot of other damage. Since then we have used the new Georgie Boy very little although we have tried to go out on shorter trips, but the life in the Motor Coach was a little more than my darling Elaine could cope with and as a result we are now having to sell the vehicle because it really needs to be used and often. It is really very powerful when one realizes how life can change in minute. This fact really reminds us of the frailty of life and the importance of friends and family this very fast paced world we live in.However we decided to place the vehicle in a rental fleet where it provides income and we can still sell it in time. The New Georgie Boy Pursuit DS3500.